Programmable mini-shaker Multi Bio 3D is designed for a variety of applications: hybridization reactions, cell growing, gel washing, soft extraction and homogenisation of biological components in solutions. Multi Bio 3D provides realization of several types of motion in one module. This option of Biosan instruments essentially extends possibilities and enhances efficiency of preparation of test samples as well as allows selecting the mixing type according to individual requirements. Microprocessor control allows performing not only (1) Orbital 3D rotation of the platform, but also (2) (Reciprocal 3D motion (of ping–pong type) as well as (3) Soft vibrating rocking. These three motion types can be performed separately, pairwise and in cycles, periodically repeating the sequence of three motion types. The shaker is designed for laboratories with increased demands for quality of mixing, extraction and cell growing processes. 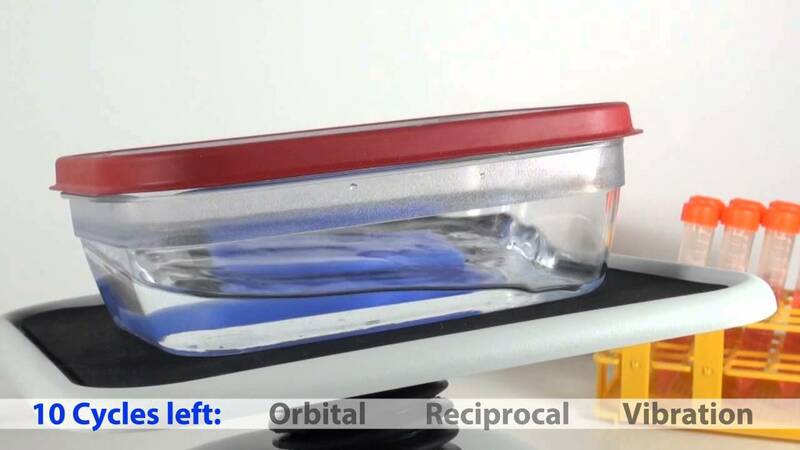 Non–slip, temperature resistant, silicone mat located on the shaker platform provides stable position for vessels during shaking. Optional dimpled PDM mat fixes tubes of different sizes. Programmable shaker can be used in cold rooms or incubators, operating at ambient temperature range +4°C to +40°C.